This collection provides more selections of unique and not-so-traditional funeral program layout you can easily produce yourself! 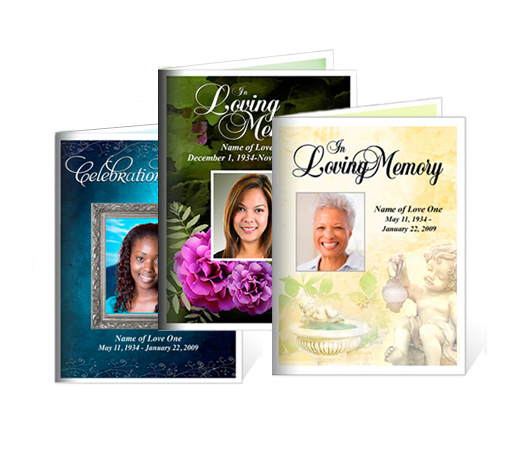 If you are looking to create a different kind of funeral or memorial program, this collection is a great place to view the various different presentations you can make by using our easy-to-use, ready-made templates. The Funeral Program Site offers the largest selection of template layouts you can do yourself on the comfort of your computer. Design the perfect memorial for your loved one quickly and with full versatility. 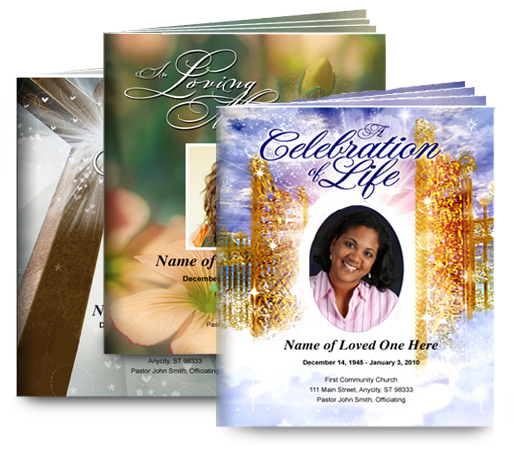 These are also great handouts for a wake or visitation service keepsake as well as for the ceremony itself. All our designs were created with your loved one in mind so your photo and/or text will be highlighted onto any of our lovely backdrops for a perfect and professional presentation every time.